SOUL music & COUNTRY music. Foundational sounds of the American experience spun monthly with love, admiration, and a deep want to create fun. 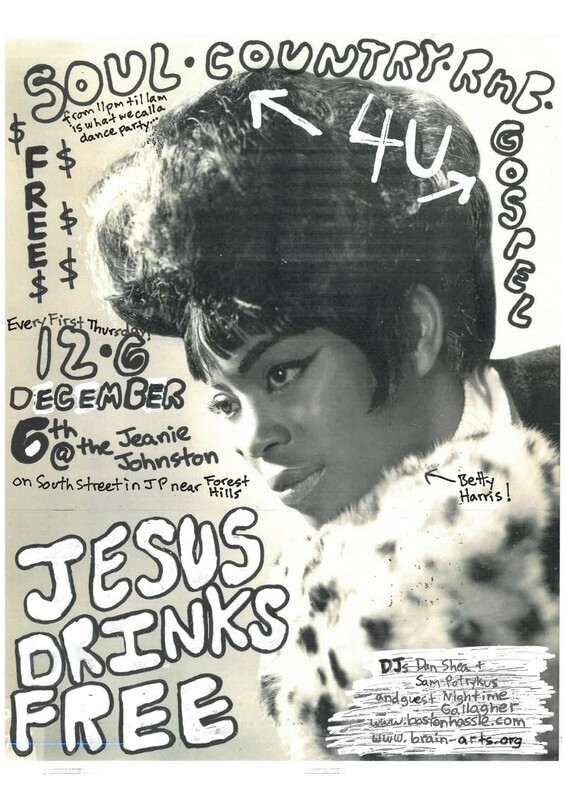 Throw in a non-believer’s true lust for spinning GOSPEL music and you have JESUS DRINKS FREE. The music comes from the 1950s thru the 1970s. We’re @ The Jeanie Johnston Pub every 1st Thursday night of every month. Good times in Jamaica Plain.